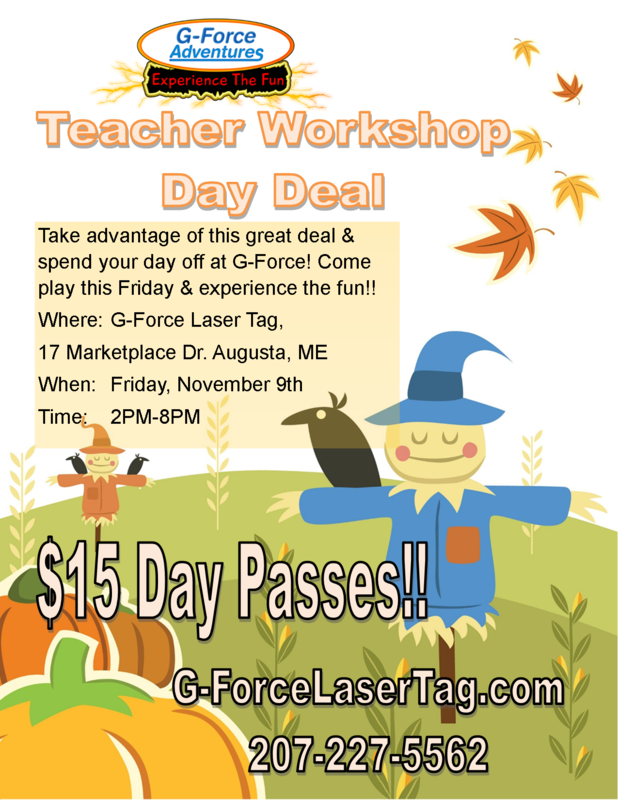 Laser Tag Augusta Marketplace Maine - Teacher Workshop Special! LIVE ACTION LASER TAG AT ITS BEST! Event Details : Teacher Workshop Special! Join us on your day off for our teacher workshop special! Day passes are only $15! !